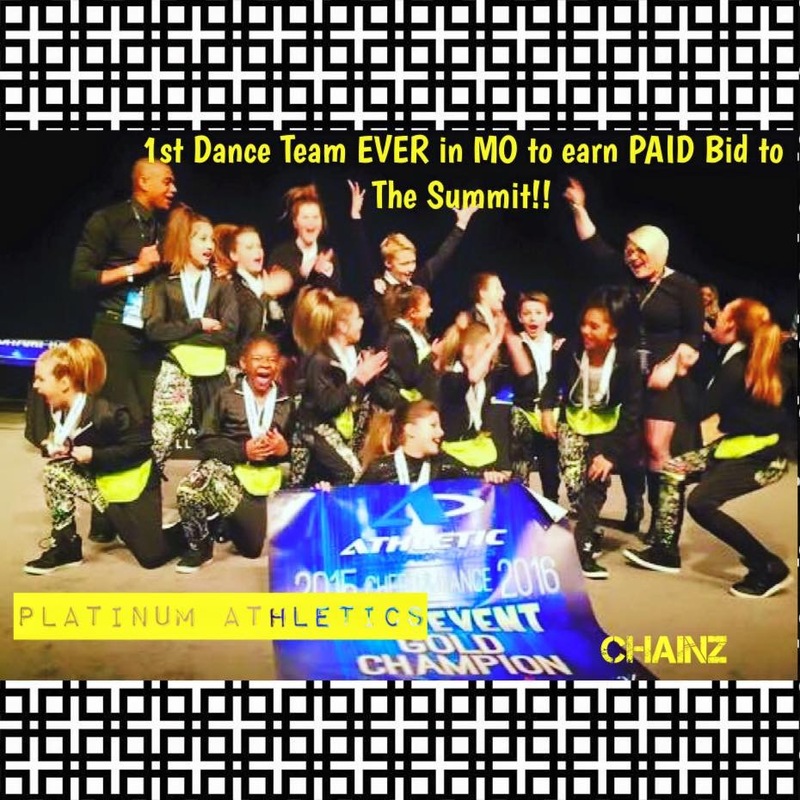 Congratulations to our Youth Hip Hop Dance Team, Chainz!!! 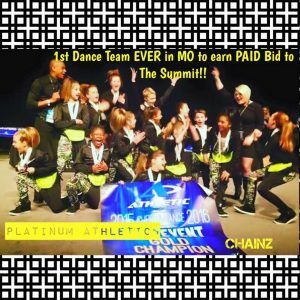 We are so proud of them for not only earning a PAID invitation to one of the most prestigious National All-Star competitions in America, The Summit (at Disney World in Orlando, Florida), but for being the FIRST dance team ever in the state of Missouri to be rewarded this exceptional achievement!! Our athletes and coaches are hands down the “Best in the Midwest”, and we’re so excited to watch them light up the stage amongst the best of the best this spring!! Great job Chainz! See you at Disney World! !